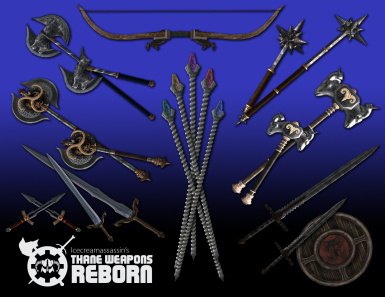 Thane Weapons Reborn is a mod which makes the Thane reward weapons truly unique with brand new models and equally unique abilities. V4.0 now live! Please see description for permission info. This version should have all the little issues ironed out that I was tripping over during the last few days getting this last update done. 4.2 has the cumulative changes from V4.0 on as listed below. - Removed notifications for weapon maintainance and leveling. - Updated the auto thane weapon updater which fires the first time you load TWR which exchanges the vanilla reward for the TWR one. I have also updated the 1k and 4k texture packs so they have proper subfolder pathing for ease of install. -Fixed notification message that states "The reached level #" when loading the game and not having any TWR weapon equipped. 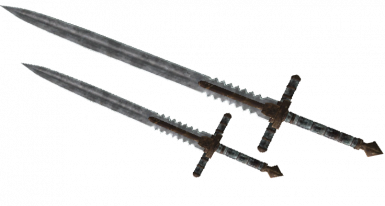 -Included missing cubemap texture for Whiterun sword and Riften Dagger. -Fixed missing script, reworked plugin with proper functions to automatically update weapons after reloading the game. - New reworked meshes and 4K textures! - Civil war appointed Jarls who name you Thane again after already getting the weapon will reward you with 500 gold instead. 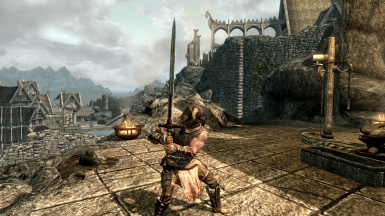 - Optional override for non-leveled playthroughs. Console SET TWRBYPASS TO 1 to keep weapons static. 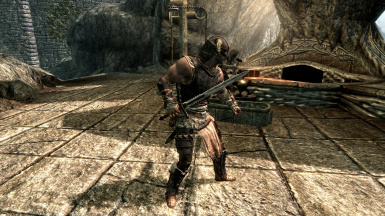 Use re-leveling utility (PerMa, Requiem, etc) to level weapons based on keywords. - Added conversion recipes to make 1 or 2 handed versions from the originals. 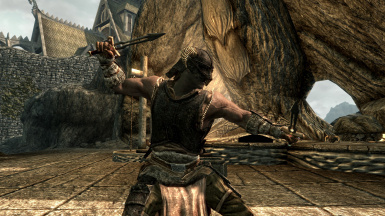 - fixed USLEEP created issue with Riften Daggers not being awarded for becoming Thane. Incidentally this change made by USLEEP makes USLEEP a requirement for TWR to function properly, otherwise this carried forward change will cause the riften thane quest to fail to initialize because the new property added by USLEEP is mandatory. - Dual Sheath Redux Ready! This update is kind of a critical one. 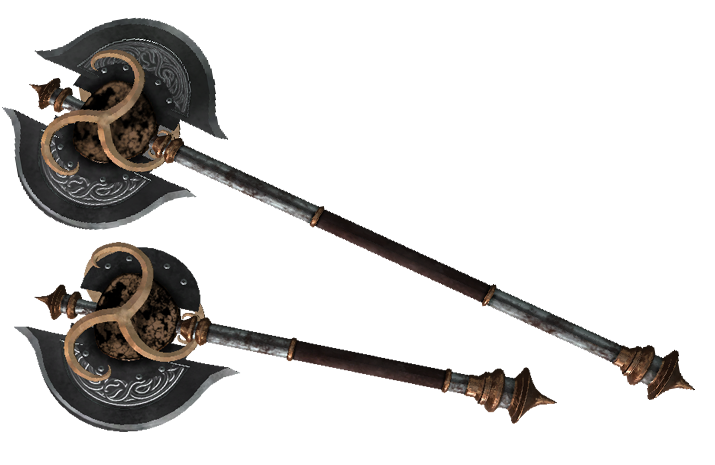 You are a Thane of the hold, champion to the people, paragon of the Jarl's best.... here's a crappy enchanted orcish axe you would never want to use as your badge of office... well no more I say! 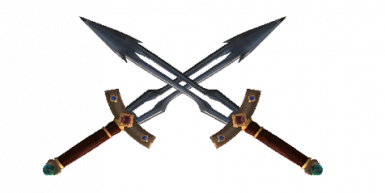 Thane Weapons Reborn replaces those lackluster piece of merchant or disenchant fodder with a truly unique item in every regard. 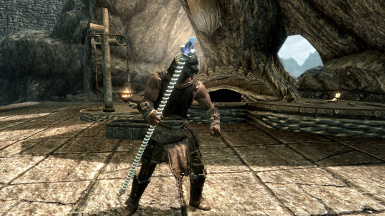 Each hold offers a unique weapon which will level up right along with the player! (can be disabled for non-leveled play-throughs). 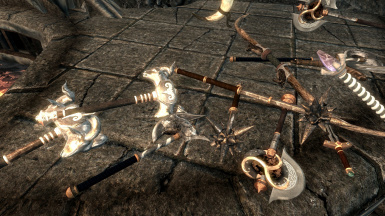 These weapons are 100% unique models with special scripted effects and have been left free of standard enchantments otherwise so that you can further customize them! Additionally they have been preset with larger charge counts so when you do enchant them, they will have more uses than a typical weapon would. Hearthfires is required for this mod only because of USLEEP's fixes made to the Thane favor quests which are carried forward by this mod. USLEEP in itself however is not required. This mod replaces the generic enchanted reward given for becoming Thane of each of the holds with a truly unique artifact worthy of your champion status within the hold. Each weapon in scripted to automatically level up, enhancing it's damage, critical damage, critical multiplier, speed, or knockback. 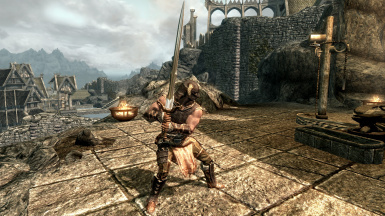 Upgrades occur every 5 player levels up to level 50 (ending with the weapon being just slightly better than its daedric counterpart). Each weapon is also scripted with some interesting abilities or enchantment-like boons which will show in your active magic effects page. 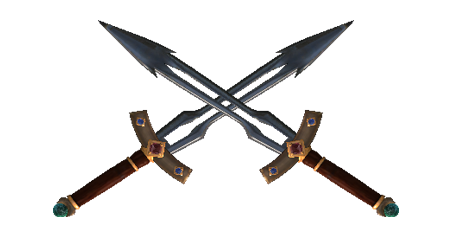 This keeps the weapon free to be enchanted by you as you see fit in ADDITION to its scripted effects. 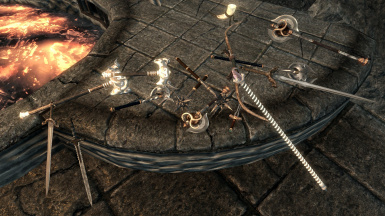 Each weapon is a unique form and will maintain all improvements you do to the weapon even after it levels up. 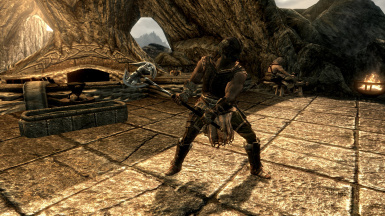 Each weapon can also be reforged at any blacksmith anvil or forge and converted from a one handed weapon to a two handed weapon or vice versa (Converting destroys player made enhancements of course). All versions can be tempered. NEW GAMES: Simply plug in and go. 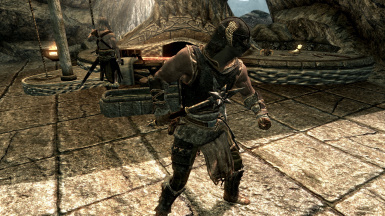 Make sure that TWR is loaded after any other mod that affects the Thane weapons such as Zim's artifacts or Morrowloot. 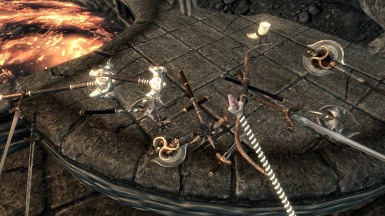 When you obtain Thane-hood, you will receive the unique reward of that hold. 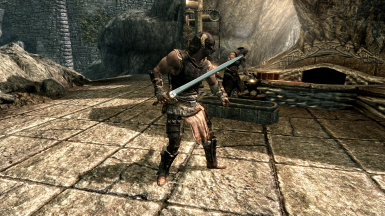 Later if a Jarl is replaced and they once again recognize you as Thane, they will reward you with 500 gold instead. GAMES IN PROGRESS, NO TWR: If you are in the middle of a playthrough but have NOT used TWR previously, just load up as normal. You will be automatically given a unique Thane reward for each hold you are Thane of, but only IF you have not yet used your "get out of jail free" Thane privilege for that hold. If you have spent your favor, you can simply console in the appropriate items, or use console to COC QASMOKE and find the chest containing the Thane weapons to select the ones you were not given. 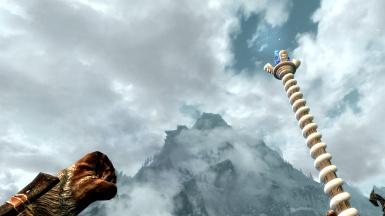 Then COC WHITERUNORIGIN to return to the gates inside Whiterun. UPGRADING OLD TWR VERSION: If you have older versions of TWR prior to V3, you MUST follow the upgrade directions below when installing V3+. Collect all your previous TWR rewards, dispose of them and save your game prior to upgrading. 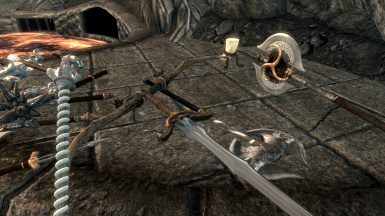 The mod will automatically give you the Thane weapon for each hold you have not yet used for favor for. Any you do not properly receive, follow the steps above. 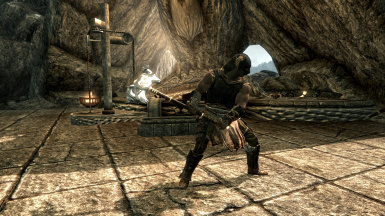 NON LEVELED PLAYTHROUGH: If using Requiem, Morrowloot, or similar non leveled setup and you do not wish the Thane weapons to level along with you, simply open console and type SET TWRBYPASS TO 1. This will shut off leveling of the weapons. 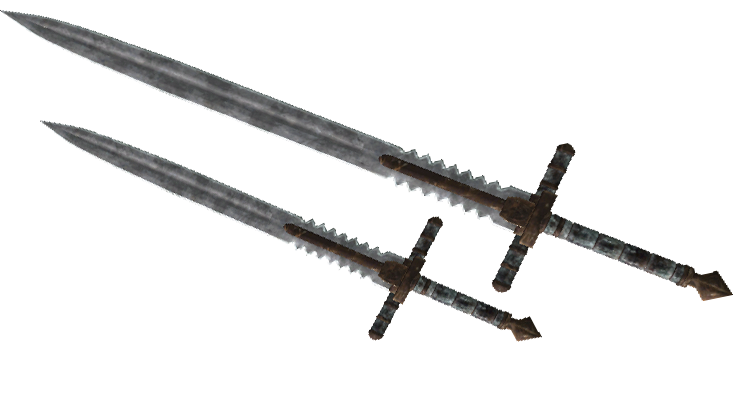 They are only set as steel level weapons, however they do have material tags for a variety of weapon material types and so your reproccor or reqtifier program should pick up on these and scale them appropriately. been carried forward into this mod from USLEEP. TWR will conflict with any other mod which alters the Thane favor quests, so ensure to load this mod after those. Also feel free to post if a significant conflict is found which should be addressed with a patch. 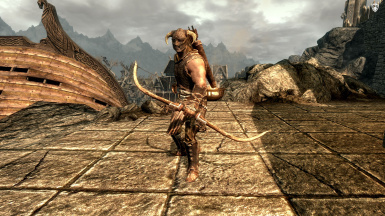 - Zim's Immersive Artifacts As of V3.3 TWR is compatible with Zim's artifact improvement mod (both the full version and the thane module). Becoming Thane will award you BOTH the Zim and TWR items. Those using a newer version of Zim's thane artifacts may need a compatibility patch from Skylover which replaces a script in Zim's mod which fixes an issue where TWR will also replace Zim items with TWR ones because of how Zim's script forces it's items into the thane reward aliases. 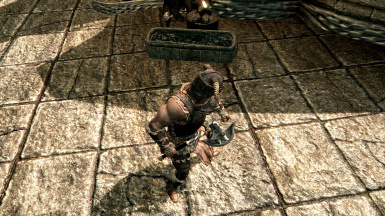 - PerMa of course will probably mess up and give these items to every bandit in the province, if you cannot configure PerMa to ignore these or properly scale them, add TWR to your Blocklist.txt file so it is ignored by PerMa. I will NOT give any further support for use with PerMa. simply use NMM or MO and install from the downloadable archive file, or extract it's contents into your /Data folder if using this manually. 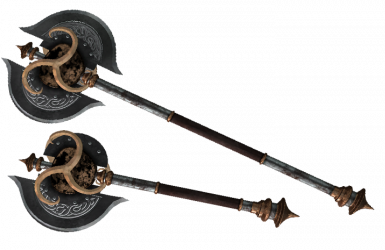 Thanks to Pelopida for their texture and model work in helping me update the Axe of windhelm, Mace of Dawnstar and the Sword of Whiterun (1 handed versions) All other models, textures and scripts by Icecreamassassin. And a thanks to all those who volunteered to make translations for this mod! Please ask permission before using these assets. I'm pretty open to sharing but would like to hear what you have in mind first. Also DO NOT distribute this mod on Steam or any other site. The only exception for other sites are for translations. Just let me know first. 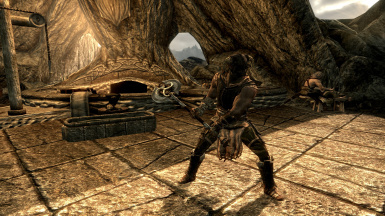 Ability: Bane of Numinex: 10% increased fire resistance and 10% enhanced damage to dragons. 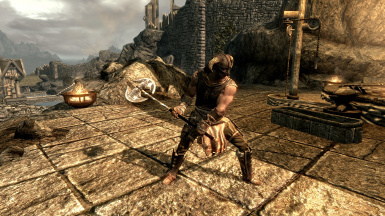 Ability: Talos’ Protection: 10% resistance to magic and 10%faster health regeneration. Ability: : Storm Strike: 10% chance of calling a lightning strike from the sky (outdoors only) dealing 40 extra damage. Ability: Strength of the Ram: 25% chance to send your opponent reeling from a power attack. 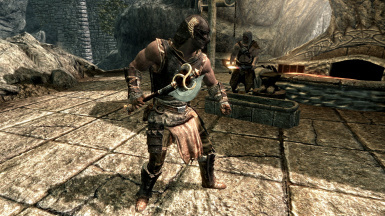 Ability: Blood Bane’s Ward: 10% extra damage to vampires and 50% resistance to disease. Ability: Bleed Out: 10% chance target will bleed for and additional 30 damage over 6 seconds. Ability: Paralyzing Strike: 5% Chance to paralyze a target when attacking. 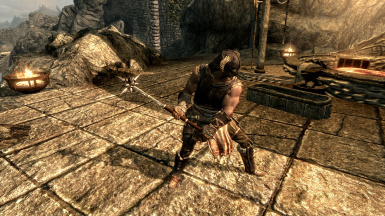 Ability (2handed): Subdue Foe: 20% chance to disarm and/or seriously stagger a foe when power attacking. ice storm, dread zombie, and soul trap spells. 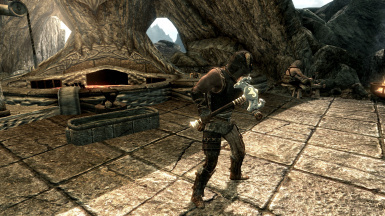 The staff spells are leveled with your character ranging from 20 damage to 50 damage on the damaging spells.